© Florence Knoll Bassett. Photograph by R. H. Hensleigh and Tim Thayer. Florence Knoll Bassett is one of the most significant women in twentieth-century design. A close friend of the Saarinen family, she studied under Eliel Saarinen before taking classes and working with such luminaries as Walter Gropius, Marcel Breuer, and Ludwig Mies van der Rohe. When she was head of Knoll Furniture’s Planning Unit, she helped the firm become one of the most important design companies in America. A 2002 recipient of the Presidential National Medal of the Arts, Bassett’s design work has largely focused on refining furniture forms and arrangements to maximize their comfort, practicality, beauty, and use. Bassett’s innovative interiors were often realized in her designs for corporate offices. 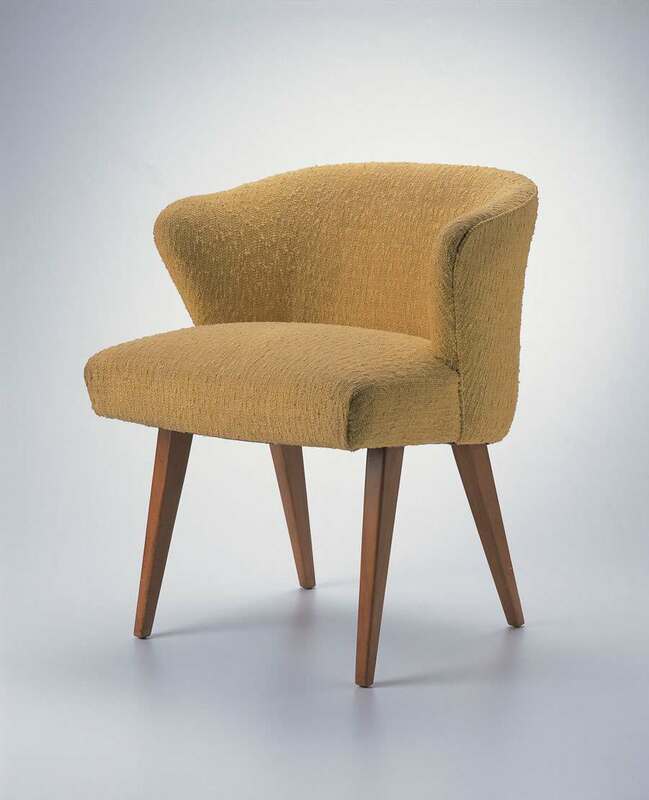 This custom-designed chair, from the Rockefeller family offices at Rockefeller Center, exemplifies concepts of comfort and beauty with its modernist simplicity. With what is now a relatively common practice, Bassett transformed the world of interior design by carefully designing furnishings and choosing upholstery to match the exacting needs of her clients.